Pakistan Tehreek-I-Insaaf (PTI) Chairman Imran Khan showed up before the National Accountability Bureau (NAB) at the agency's Khyber Pakhtunkhwa (KP) office in Peshawar on Tuesday for the situation relating to claimed abuse of the commonplace government's helicopters amid his gathering's previous residency in KP. A survey arranged by NAB with 15 questions was given to Khan and his legal advisors. The poll should be finished inside 15 days, as per NAB authorities. The authorities said that Imran Khan was "examined inside the NAB office in association with the case for over 60 minutes". Strict safety efforts were set up around NAB's Peshawar office. Security was additionally fixed in Hayatabad and encompassing territories. 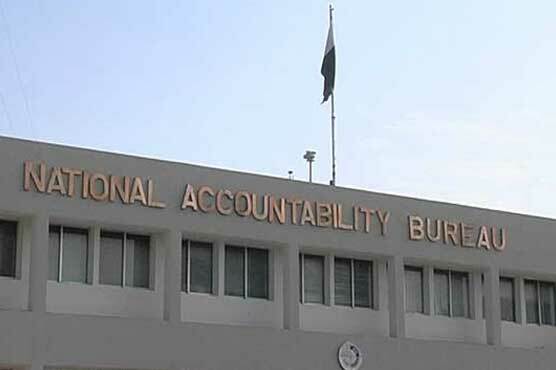 Prior, the NAB had issued a notice to Imran Khan on July 11, summoning him to show up before a joined examination group on July 18. In any case, because of Khan's contribution in the races, his law office Babar Awan and Associates had presented an application requesting additional time which was acknowledged. In February, subsequent to paying heed to the helicopter issue when it was featured by print and electronic media, NAB had made its first move against Khan and KP Chief Minister Pervez Khattak for supposedly abusing official helicopters for private visits. Grab Chairman resigned Justice Javed Iqbal had guided the department's KP executive general to direct a request against CM Khattak and Khan more than 74-hours informal utilization of two government helicopters — Mi-17 and Ecureuil — by abusing expert. The KP government, in any case, [had denied that Khan utilized any authority helicopter for his private and individual utilize. A representative of the PTI-drove common government had said that since 2013, the administration had not utilized helicopters for any reason other than official business. The authority had said the PTI ought to have paid the KP government Rs11.1 million for the helicopters however official reports just specify an installment of Rs2.1 million. The NAB claimed there was narrative confirmation that Khan had paid Rs2.1 million for two helicopters having a place with the KP government — a Mi-171 and an Ecureuil — for an aggregate of 74 hours, which adds up to Rs28,000 spent for consistently the helicopters were utilized.